Treasure Island, by Robert Louis Stevenson. Although the protagonist of this novel is a young teen, it wouldn't be fair to call this a children's book or young adult fiction. It has some dark themes. 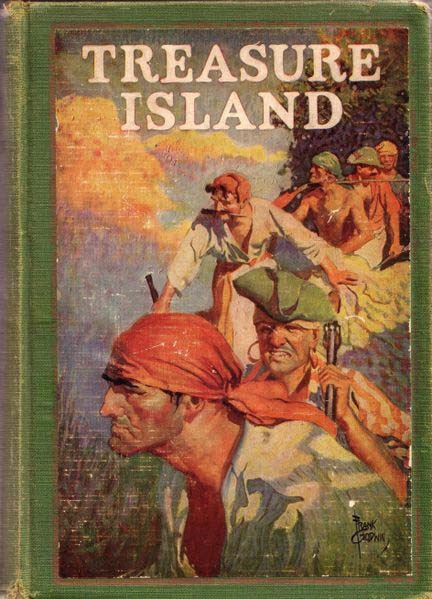 I'd liken it more to Huckleberry Finn or The Island of Dr. Moreau than to, say, The Princess and the Goblin, all of which were published round the same time as Treasure Island by the way, late 19th century. 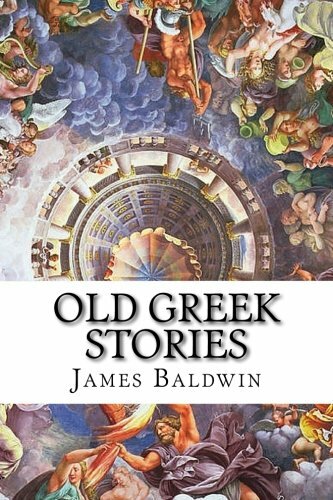 Unlike lots of books written over a hundred years ago that lean toward a more formalized tone or diction, you might be surprised by how smooth a read this is. A solid adventure story. Long John Silver is a strong villain. From start to finish, the tension never lets up. Every scene offers some danger and suspense. Shiver me timbers! And pieces of eight! Live From the Battlefield, From Vietnam to Baghdad, 35 Years in the World’s War Zones, by Peter Arnett. Arnett has obviously lived a full and exciting life as a journalist. Unfortunately, despite his years of experience, his writing ability still leaves much to be desired. Paragraphs lacked focus; descriptions were bland and uninspired. The whole book read like a terse journal with news clippings thrown in for effect. Too many sentences began with the dreaded “There were…” and “There was…” Note: “There were people standing along the curb” isn’t as lean as “People stood along the curb.” Overall, the book, while informative, isn’t particularly fun to read. I was constantly reminded of the wrist-slapping motto "show, don't tell." Arnett told me a lot but didn't show much. The Carousel, by Belva Plain. A soap opera in print. Most of the characters are pretty stupid. Ian cheats on his wife, and the woman he has this affair with marries Ian’s brother, Clive, evidently to spite Ian. We’re told Clive contracts cancer from smoking, though throughout the entire novel, we never actually see him take a single drag from a cigarette or a draw from a smoking pipe or a cigar. One character learns of an affair his wife had with another brother and decides to kill that brother but shoots his beloved father by mistake. And so on. The story continues to run this silly course but unlike your average General Hospital or Days of our Lives soap, this novel is summed up in the last two chapters. More dialogue than narrative too, which I didn’t like. Texas Tales Your Teacher Never Told You, by C. F. Eckhardt. A fascinating romp through Texas history. Chock full of great stories and amusing facts about its heroes and legends. Written with a flare for Texas jargon, its character and charm make it hard to put down. Highly recommended. The Autobiography of Mark Twain. Edited my Charles Neider. As anyone knows who’s read his stuff, Twain was a great writer – insightful, cynical, hysterical, and a great observer of people and human nature. This man suffered a lot of personal loss, though, lots of tragedy, some of it ironic, which is even worse. Much of the material in this autobiography is laugh-out-loud funny, but some of it is heart-wrenching. In the introduction, the editor, Neider, points out that a couple of other permutations of the manuscript have been published before, back in 1924 and again in 1940. Incidentally, Twain gave further instructions that certain material was not to be published until many years after the publication of this particular edition. This was to protect the people mentioned therein, their families and their children. This might not be unique, but I wouldn’t be surprised if it were. Twain was quite a unique personality, the story of the comet is one such example. 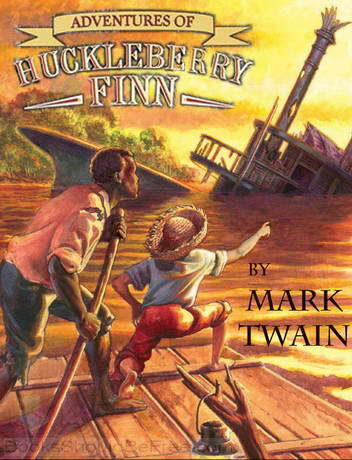 I recently heard that another Twain autobiography was recently published. Evidently (as per his instructions in his will, I presume), the allotted time has elapsed, and the publisher is free to release material Twain was unwilling to have made known in the edition I read. There were some great photos of Twain in this book as well. Highly recommended. 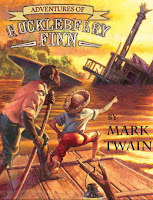 The Adventures of Huckleberry Finn, by Mark Twain is excellent. However, because the story is written first person by our protagonist, Finn, and because Finn’s diction, or patois, is drenched in over one hundred and twenty-five year old southern slang, the narrative is somewhat rough going, though Finn would say, "That ain't no matter." While certainly funny in places, the book deals seriously with slavery. Finn weighs the prejudices of the south against his own conscience. He decides that helping Jim escape is the moral thing to do, despite the sentiment of society. It’s a powerful message about one’s moral conviction at odds with consensus. An important work. Letters from the Earth, written after both his wife and one of his daughters had died. Like his autobiography, it was published posthumously. It’s cynical but amusing in places. The Adventures of Tom Sawyer is a wonderful classic. The Mysterious Stranger and other stories has some real gems in it. A Connecticut Yankee in King Arthur's Court is okay but not my favorite. Tom Sawyer Detective and The Prince and the Pauper are amusing but not his best work.